Ooops I had forgotten we were away for Tuesday and Wednesday this week. I will be back tomorrow evening with some packaging but for today we have the snowflakes again. Just a reminder, Monday next week the 5th of October, some places left for the afternoon class and 4 places for the evening. Get ahead with your Christmas card making, come and make these 5 cards, your choice of colour, blues or neutrals. There should be 5 in the blue picture, the one with the gold die cut word is missing but we will make one! 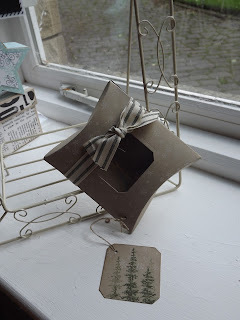 Here we have my first selection of packaging ideas for those little Christmas presents. 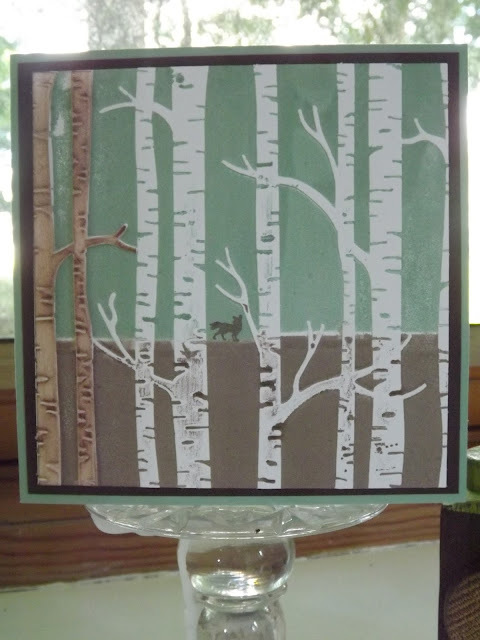 These are some of the fun boxes you can create with the Curvy Keepsake Box Die. What fun! First is my penguin, why does he look so sad? This is probably the easiest one to make. Only black, white and a shade of orange card. I have used the googly eyes but you could just use white and black punched circles. The Christmas pudding I think is the most complicated but still easy to do. You need to cut the box in the brown and the white. 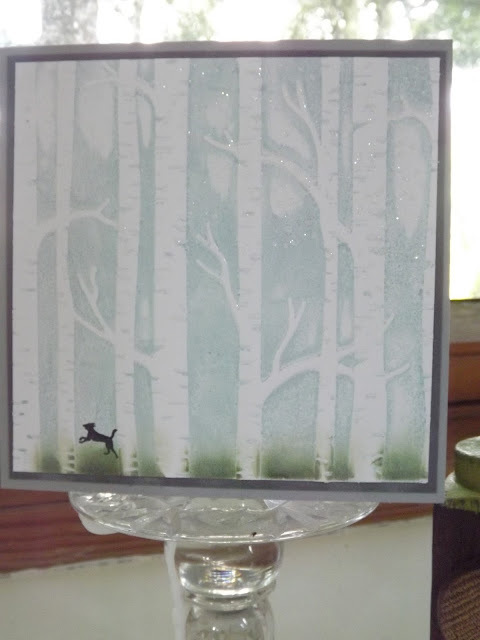 I cut the icing dribbles freehand then embossed with the softly falling snow embossing folder. The holly leaves are cut freehand then punched a few red berries. This one really looks good enough to eat! 'Olaf' from frozen is still a popular character. I really do need one of my friends with children or grandchildren to lend me this as I haven't seen it yet. The eyebrows and tooth are cut freehand. For the nose I have punched a number of different size circles then stuck them together with glue dots rather than glue, this gives it a bit more dimension. It is fiddly though. Mr Robin, a really easy make and everyone's favourite. The man himself. Its a pity the moustache die is no longer available as its ideal for this make. I could have done the hat like the robins but decided to keep it flat. I have doodled the fur with a white pen. This was Yorkshire today so no crafting done. Had a lovely walk first around the reservoir then across the moors. Really warm in the sun, quite chilly in the shade. Hope you have had a good day and recharged the batteries for the week ahead. These are the three little cardigans I knitted for Enya, the baby I told you about yesterday. Having 3 boys I haven't had the chance to do much knitting in pink Really enjoyed making these 3 little knits. Another quick post today, I am off for a cuddle with the sweetest baby who is 5 weeks old tomorrow called Enya. She is a real sweetie and I have been knitting, I'll show you those tomorrow too! I love this Winter Wonderland designer paper. It shouts luxury. With the gold and black theme it looks striking and classy. I have made this card in every paper, one piece of paper, using both sides. This is my favourite combination but I am going to change the sentiment, The card would make a great birthday card for a special birthday. I knew this embossing folder would quickly come back to the table. Quite a simple card today. The folder was inked before getting to work with the big shot. The Cajun Craze coloured trees were embossed separately then daubed to colour up, these have been fussy cut and added with glue dots. 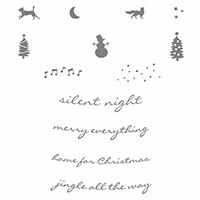 I have added two little birds from the White Christmas stamp set. The first has just been stamped then coloured with marker pens the second has been stamped, fussy cut then coloured. this has been added with a glue dot to a branch that also stands out from the face. I would like a sentiment on here but couldn't decide whether to go christmassy or birthday. What would you do? The Stampin'Up Wonderland stamp set was still out so I thought I would create something a bit different to yesterdays. 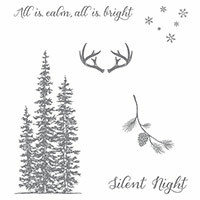 The Gently Falling Snow embossing folder is lovely and used here to frame the image really does give a winter feeling. 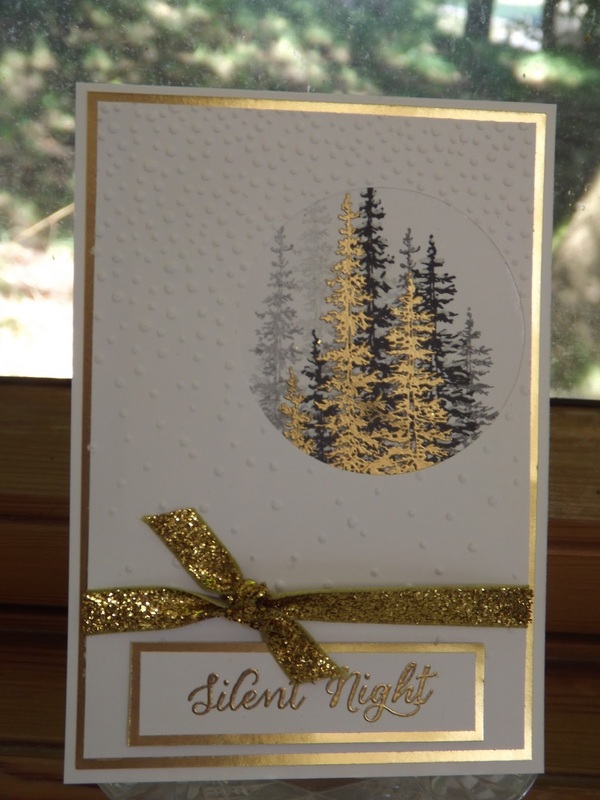 As yesterday I have heat embossed the trees, then reused the gold theme with the layering, the sentiment and the ribbon. 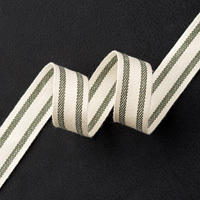 The ribbon is in the seasonal catalogue, it also comes in silver. 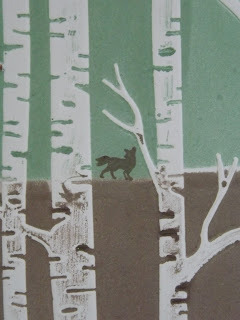 A quick post today and unusually for me a quick single layer card. The Stampin' Up Wonderland Stamp set is on my desk. 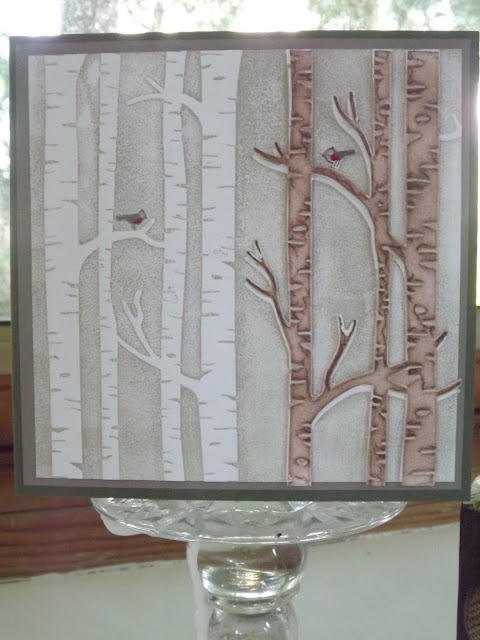 Daubing, stamping and heat embossing all brought together to create a very simple traditional card. 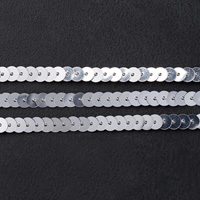 The new thick whisper white card is ideal for this type of card. I have daubed the edge of the panel then stamped and stamped off with black then stamped with versa mark and heat embossed in gold. The sentiment is also heat embossed in gold. A quick easy make that is also stylish. Great if you have a big batch to make. I knew it had to happen..... I have created my first bauble of the year and it involves a penguin, a Stampin' Up penguin from the Snow Place stamp set. I did want to put quite a few in there but either they are too big or my bauble is too small! 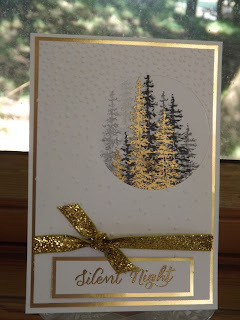 Again there is a little daubing to create the background then I have used the Stampin' Up Wonderland set of trees from the new seasonal catalogue. 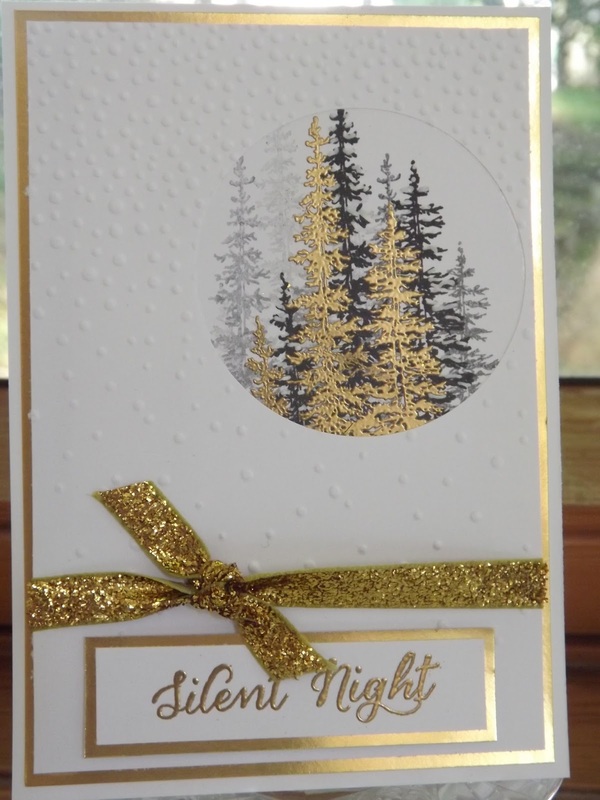 With the Fine Tip Glue Pen I have just lightly put adhesive down the trunks and along the branches then sprinkled with dazzling diamonds glitter, its very fine so just gives a little sparkle. The penguin has been added with double stacked dimensionals and I have curled him so that he has a rounded tummy. No skinny penguins here! I have punched the sky with the star confetti punch and placed glimmer paper behind it. Hi is a very cute penguin. In the other side I have used the snowman, well actually the small snowman, the taller one was a little too big. For the background I have punched a 2 1/2" circle then embossed it with the brick wall embossing folder. In between the bricks I have used the fine tip glue and glitter again. The stars on this side are stuck on again with the fine tip glue! 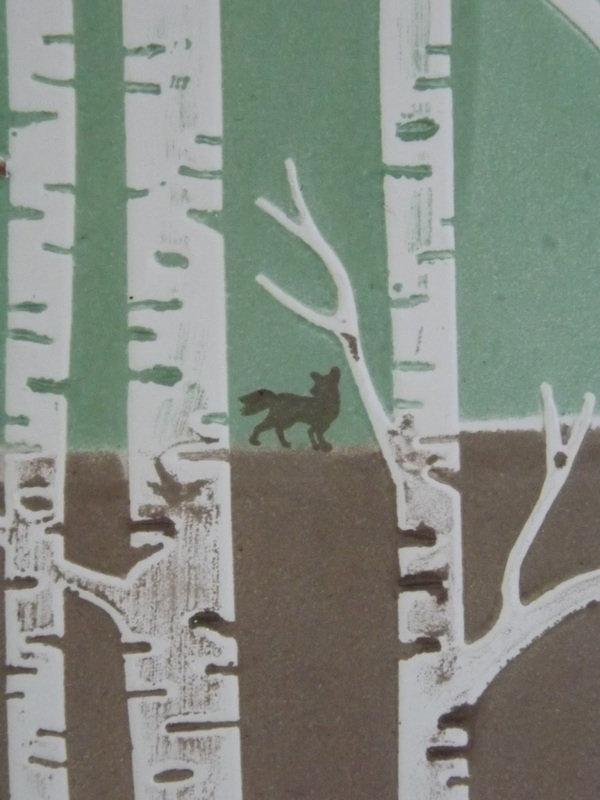 I find that stamping and cutting-out is very therapeutic. 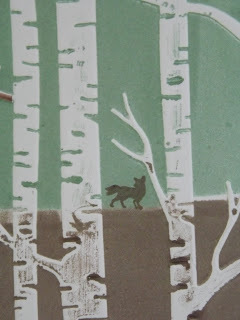 I often do the stamping during the day then sit and cut-out whilst watching TV. 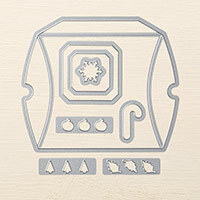 The stamp set Snow Place is photopolymer, in the Seasonal catalogue. 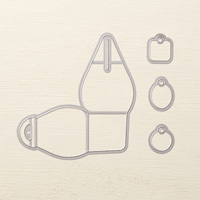 There are 22 stamps in the set which comes in a bundle with a set of 15 dies. 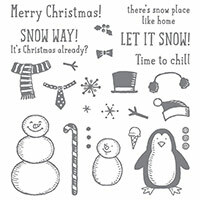 Now much as I like having the dies I just couldn't afford them but thought the stamp set would be great for a children's class at half term as there are penguins and snowmen. Today I have just used the penguins, this is not what I set out to make I was intending to create a Christmas bauble, that will have to be next weeks project, but I had found these hanging signs in a sale and thought I could create a scene with the penguins. 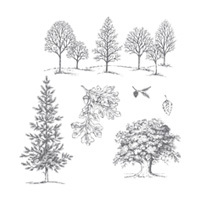 I have daubed the background scene with the festival of trees stamp set in the main catalogue, the larger trees at each side in artichoke green are stamped with the Lovely as a Tree set, this is a new set to me although I know its been in the catalogues longer than any other set. It is a beautiful set and I have plans for a set of cards with this. The music notes are from the Jingle all the way set as is the sentiment. To finish off I have added sequins and a wooden snowflake. I know it isn't next week but whilst the folder was out something came to me. This is a card in the more traditional way. Mans best friend added makes the card a bit of fun. 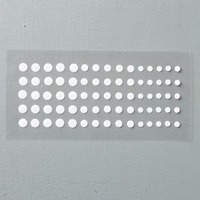 I have added dazzling diamonds to white spots to give the impression of the start of a snow shower. The daubing of Mossy Meadow and Whisper White along the lower edge just grounds the base of the trees. A bit of a change today, not really Christmas but it could be. 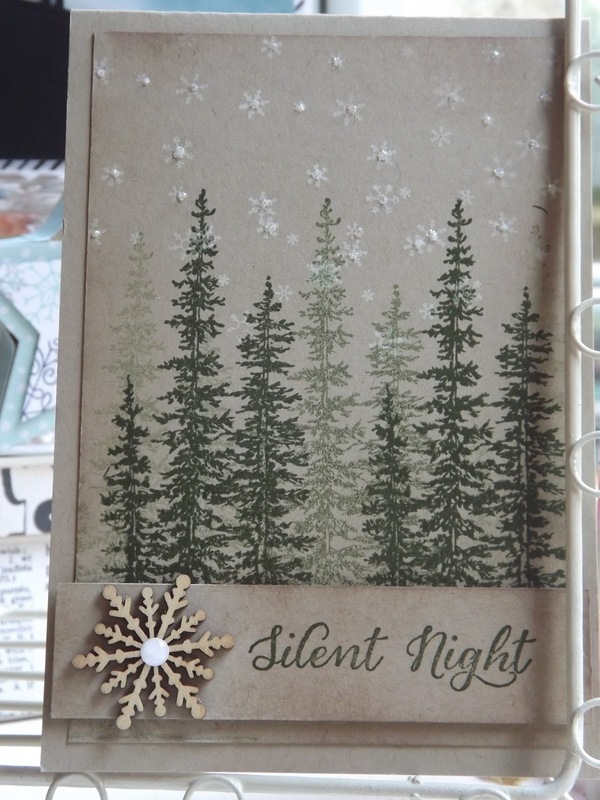 My friend Amanda at The Craft Spa has used this folder to make some stunning Christmas cards. However this morning I was asked if I did quirky......... I think I do sometimes so in my head for this next week I am going to do quirky. It would be lovely to know what you think. Here we have my first quirky card, made with the Woodland Textured Embossing Folder. 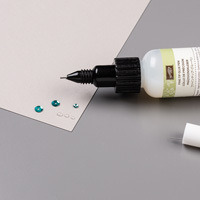 I started by inking the folder with Tip Top Taupe and Mint Macaron then embossing. The fox is stamped in the Tip Top Taupe after embossing. 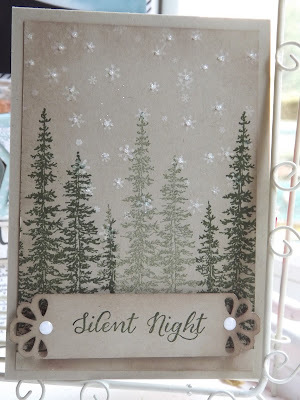 The trees inked with Cajun Craze are fussy cut then attached with glue dots. This is an unusual make for me and I am trying it in a variety of colours. I will bring you more next week. These are the makes from our monthly training. I had this set of stamps but hadn't opened it. These cards are very simple to make and don't use a lot of resources but look effective. 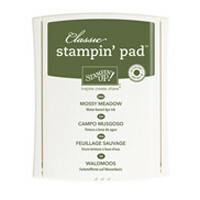 The card is stamped with mossy meadow and stamped a second time without re inking. The stars are stamped with the Stampin' Up white ink then touched with the Fine Tip Glue Pen and sprinkled with Stampin' Up Dazzling Diamonds glitter. The sentiment piece is the star of the show. 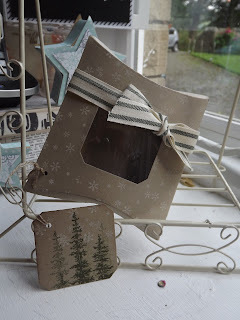 The one inch wide strip has been punched with the new 3 corner punch on page 18 of the seasonal catalogue. I have punched each corner and because of the width the petals have over lapped to give this effect. I have then added a White Perfect Accent. 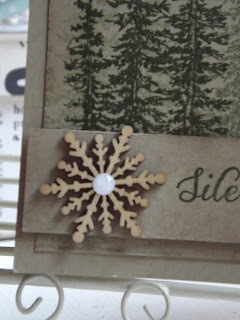 On the second card I have added one of the wooden snowflakes. with a White Perfect Accent to the centre. 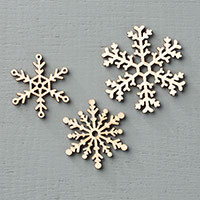 These wooden snowflakes look great when covered with versamark then heat embossed with gold/silver or white embossing powder. 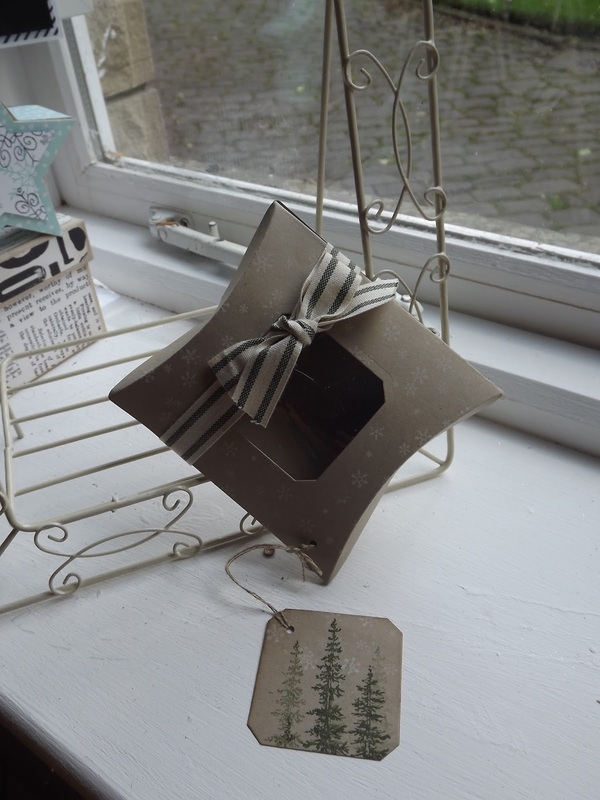 We also made a Pillow Box to match, stamping the window cut out to use as a label. The die is on page 41 of the seasonal catalogue. 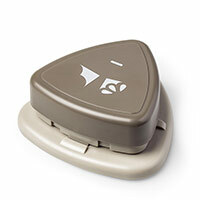 Great size for small gifts. Check out the classes page and choose which one you are going to attend.